At WAHAHA we teach practical Japanese for everyday use outside the classroom. 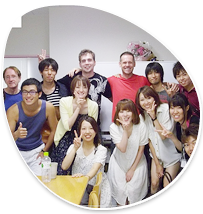 WAHAHA Japanese Language School is committed to teaching Japanese that can be used naturally in everyday life. Our classes do not focus on grammar alone, but also encourage awareness of different speaking styles and the appropriate usage for each situation. In addition, WAHAHA's small class sizes enable instructors to actively communicate with all students, resulting in an enjoyable learning experience for everyone. The level check consists of a 60- to 90-minute grammar test and a 30-minute interview. Results are used to determine the student's ability level and discover weak spots. Immediately following the test, teacher and student review the answers together with emphasis on explanation of mistakes. Improvement suggestions are given and the direction of future lessons is determined. Counselling involves discussing student goals and areas of interest. Taking their level check results into consideration, students are divided into classes according to ability level, thereby facilitating an effective learning environment. Classes from Monday to Thursday focus on grammar, with Friday classes reserved for conversation lessons. Friday's conversation topics are based upon situations students may encounter in daily life. While English explanations of new concepts are necessary for beginners, we actively encourage learning Japanese in Japanese once a student's ability is sufficient. Previous grammar is incorporated alongside new grammar to help reinforce understanding. Lessons do not strictly adhere to textbook formulas, but are instead allowed to flow naturally for an unconstrained learning environment. Conversation classes make use of role-playing to help promote correct understanding of both formal and casual expressions. "Out Lessons" may also be organized. These classes are held outside the school and involve activities such as shopping, ordering at a restaurant, etc. and serve to reinforce knowledge in a practical manner. Students in the intermediate/advanced classes will have practical lessons which include speeches and presentations. This is one of the reasons many choose WAHAHA. Our school prepares lessons designed to fit each student’s ability level, and classes are divided accordingly. This may mean that even though a student has applied for a group lesson, their class may become a private class in the event that there are no other students at the exact same ability level. If this occurs, lessons will have a daily duration of two hours instead of three. These two hours of one-on-one tuition will efficiently provide the same curriculum and at the same pace as a group lesson. If a student of the same level joins the class, its duration will be increased to three hours. We appreciate your understanding that this is to ensure that two students of different ability levels are not forced into the same class. ・The school is closed on the end of year/new year period of 1/1-1/3 (2018). 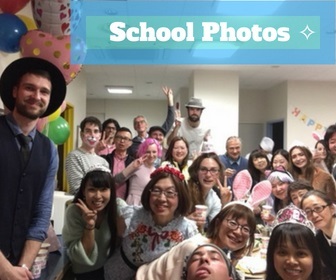 ・During Obon: 8/13-8/15, and Golden Week: 4/29, 5/5, 5/6, the school is open as usual. What do you know about Fukuoka? It was ranked the 14th Most Livable City in the world. 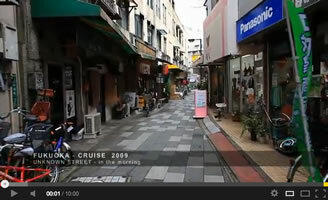 Fukuoka is known as one of the most livable cities in the world and is very popular among Japanese people. Fukuoka has a warm climate and warm people. As can be seen from the many comments on the above Youtube video, it can be said that people fall in love with Fukuoka from the very first visit. Fukuoka will satisfy visitors with its convenience, food, people and reasonable cost of living (much cheaper than Tokyo, Osaka or other big cities). Fukuoka also offers plenty of nature nearby!